Hello loves! We've teamed up with one of our talented sponsors, Christi Jay, to bring you a mega RAD giveaway. 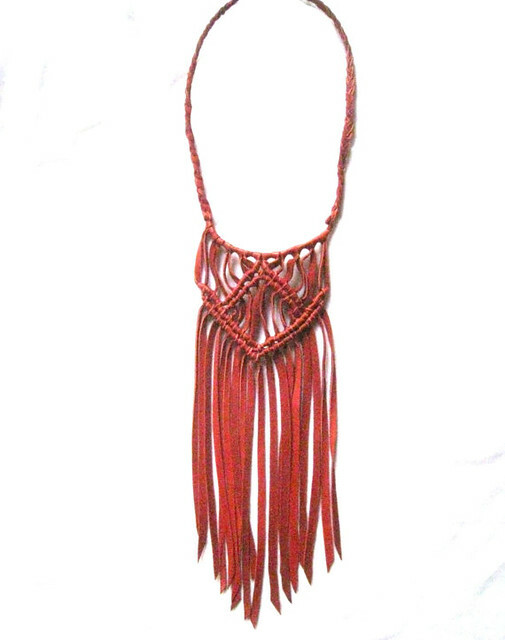 For the next few days, you have the opportunity to win the Red Diamond Leather Macrame Necklace! 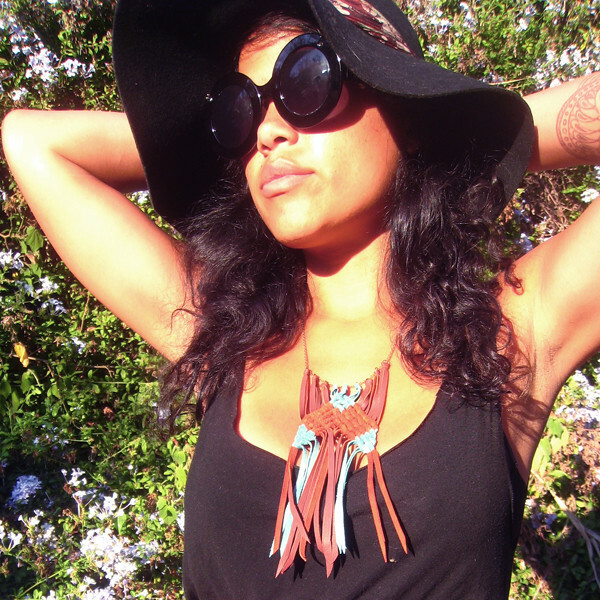 Description: 100% genuine leather has been hand cut and knotted to create a one of a kind, lightweight statement piece. 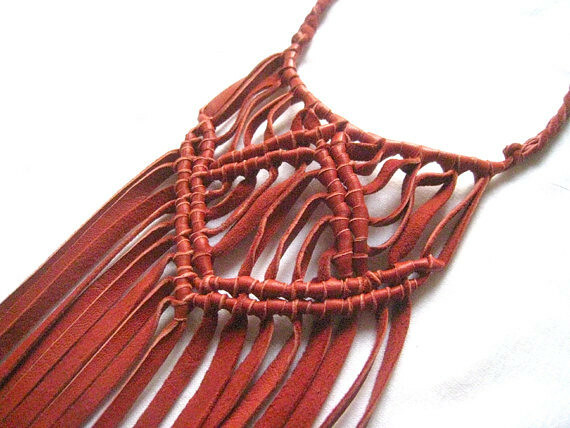 Rich rusted red in color, this necklace hangs on a 18" braided leather cord (back has antique brass lobster closure and wing charm accent), with a macrame 7" long. This lightweight leather makes for a fun accessory that moves when you do. 1. 'Like' the Christi Jay Facebook page. 2. 'Like' the Bueno Bueno Facebook page. 3. Leave a comment on this post letting us know you've done the previous steps.